Biceps. The ultimate show muscle. From age 10 on, every boy, teenager, and man want to have bulging biceps. This is, apparently, a true sign of manliness and strength. 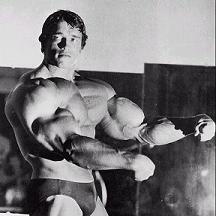 Biceps are among the most famous muscles in the body. When somebody asks you to “make a muscle” or “flex”, they aren’t asking you to flex your hamstrings. They want to see your biceps! Working out without music would be miserable. Workout playlists make time pass faster and help you pump yourself up for the next rep! If you’ve ever tried to workout with the wrong pair of headphones, you know just how frustrating it can be. Whether you hate dealing with a cord in your face or you sweat all over bulky over-the-ear headphones, you know you need something that can handle your level of workout. It turns out not all headphones are created equal! Some headphones are best used for certain types of workouts, and that’s why you need to learn more about what kind is right for you. Here is a guide to the best headphones for every type of workout! Take your workout to the next level with these tips. Weightlifting requires an exceptional amount of motivation, endurance, and discipline. Pushing through the pain and sweat requires a lot of mental strength in addition to physical strength. As such, the things you learn by lifting weights can be translated into other important areas of your life. Think about creating and sticking to a budget or even writing your first novel (the best stories come from personal experiences after all). Having the discipline, endurance, and strength it takes to train your body and mind are invaluable skills you can implement into your daily life. Are you in the gym day in and day out, but feel like you just are not seeing results like you used to? Well, it is completely possible that you might be overtraining, which is a lot more common than you might imagine. Overtraining means that you are training so hard your body does not have the time to rest and recover, as it normally should. This condition can lead to a slew of negative side effects, like muscle atrophy, motivational loss, and mood swings.